When the chest pain happens first you think it is heart attack but maybe the chest pain is not the indication of heart attack or any other cardiac condition in this case chest pain should be taken seriously because chest pain is not something to ignore but other aspects of the chest pain can also belong to some kind of problems like respiration, digestion and any other aspect of health issues. When you suddenly suffer from the shortness of breath and chest tightness during the breath for no reason then you should immediately contact Medox Hospital, it is the centre of cure solution this is run by Dr. Y.N. Chaubey. Under his expert guidance, our team of respiratory doctors provide the complete solution to Chest and chest ailments. We are well-known for providing fast and effective treatment of diseases which affect the Chest, Chest and Respiratory system. We are a popular name in the field of treatment and prevention of all type of chronic pulmonary diseases like Asthma,Lung Cancer, Allergic diseases, complicated Chest infections and Chronic Bronchitis (COPD).Together with our team of experienced doctors and nursing and supporting staffs with all, we are providing our patients with the latest based medical care and treatment personalized one-on-one treatment and leading expertise in the field of respiratory and chest medicine. 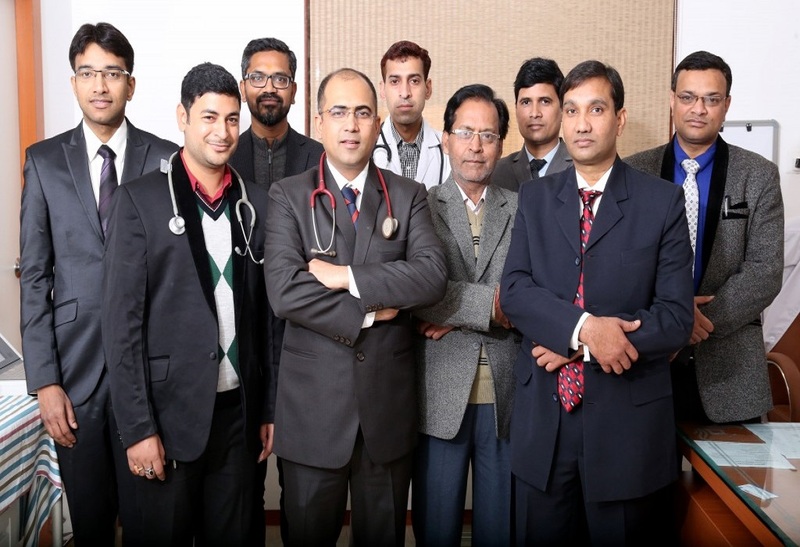 Our Chest Specialist in Lucknow takes care of the entire solutions, which is related to medical issues because the preservation of the good health is easier than the cure of the diseases.